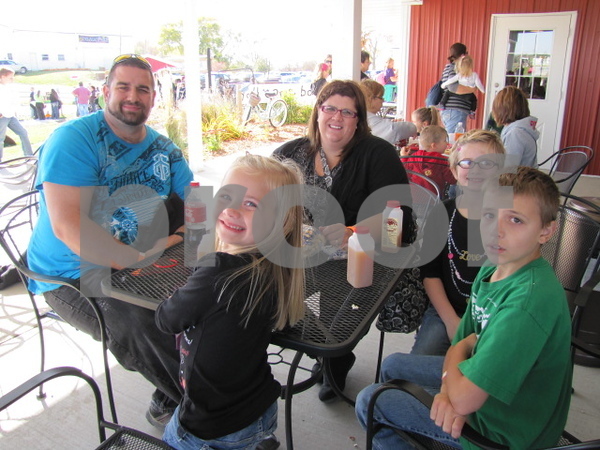 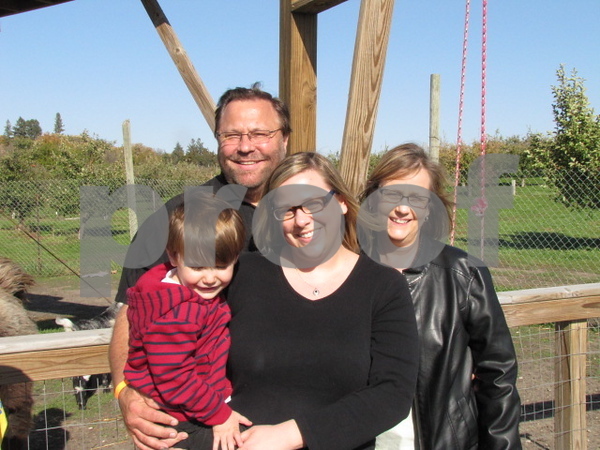 Paul and Mandy Waldschmidt with their children Gabby, Jolie, and Jayce. 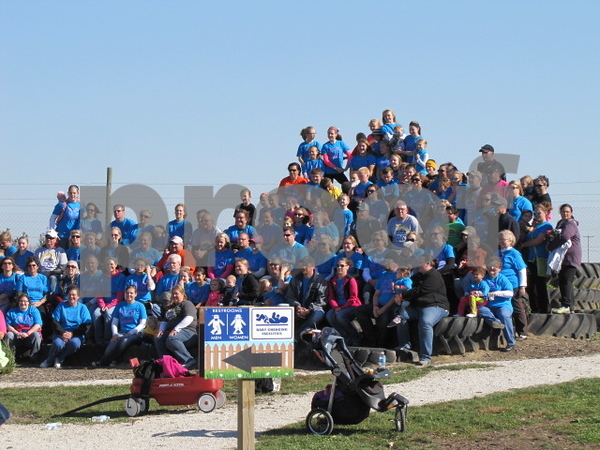 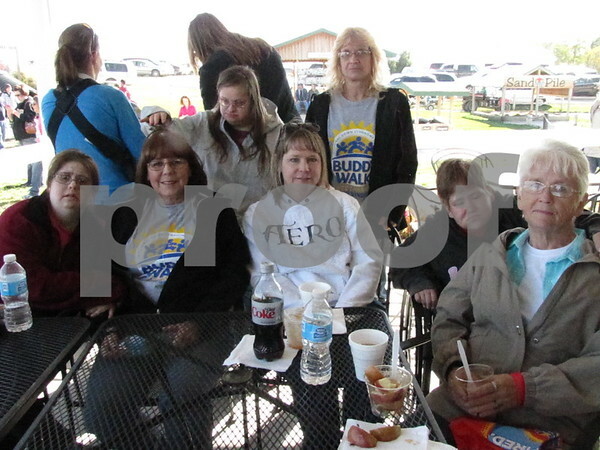 One big family of supporters for one little girl with Downs Syndrome came out to the Buddy Walk. 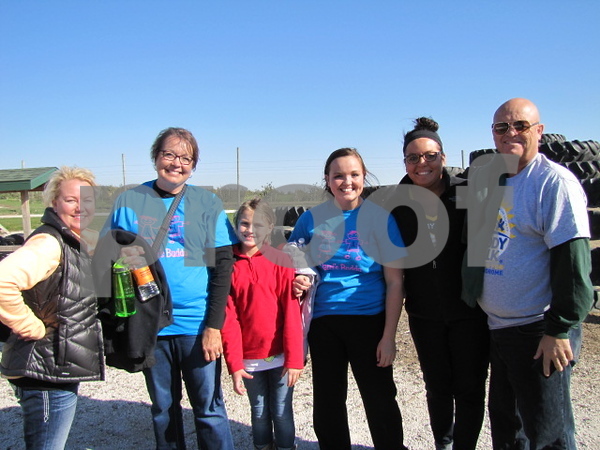 Jordan with mom Mary Potratz, Angie Jessen and her daughter Danielle, and grandma Sheryl Franklin, and in rear Amber with mom Chris Spencer were all out to enjoy a beautiful day at the Orchard for the Buddy Walk. 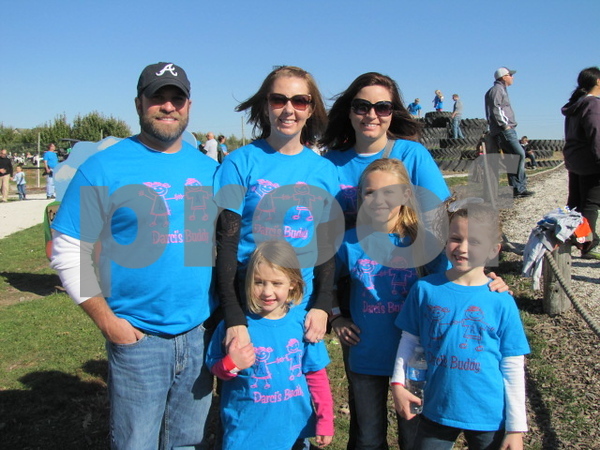 Tony and Amy Willard, and Chelsea Woodbeck, and their children were out to show support and participate in the Buddy Walk. 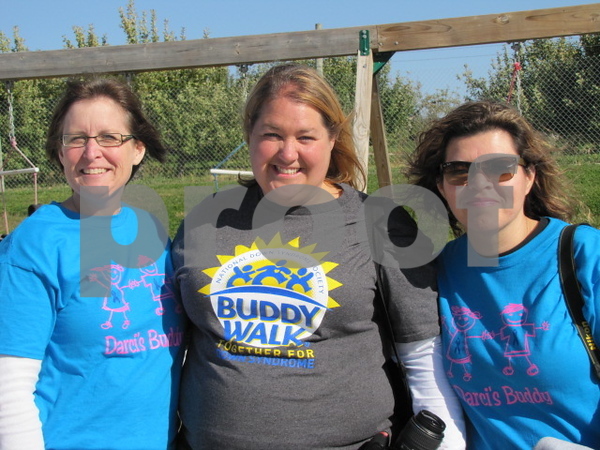 Stacy Osborn, Angie Anderson, and Dina Figueroa. 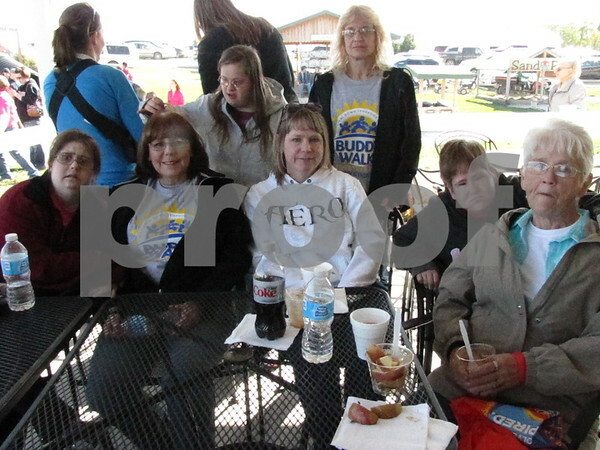 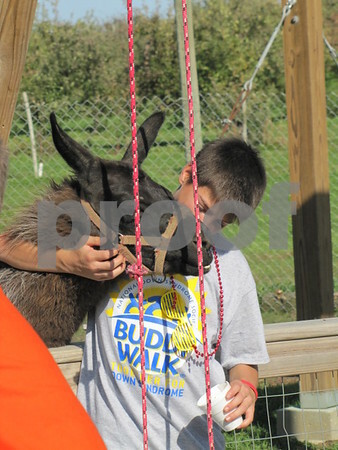 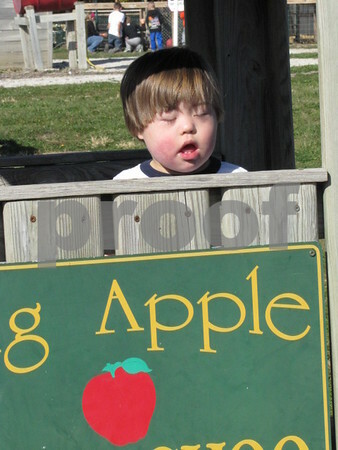 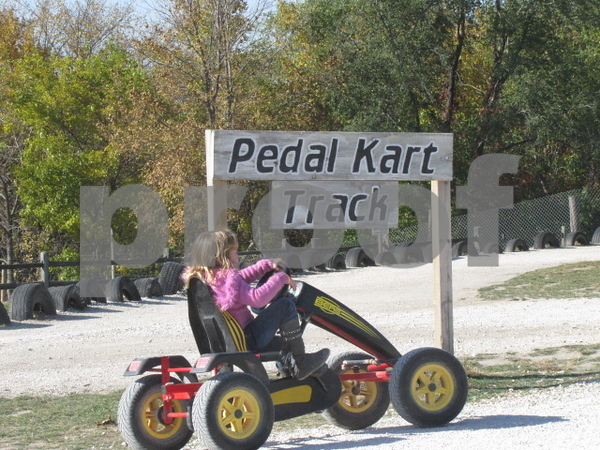 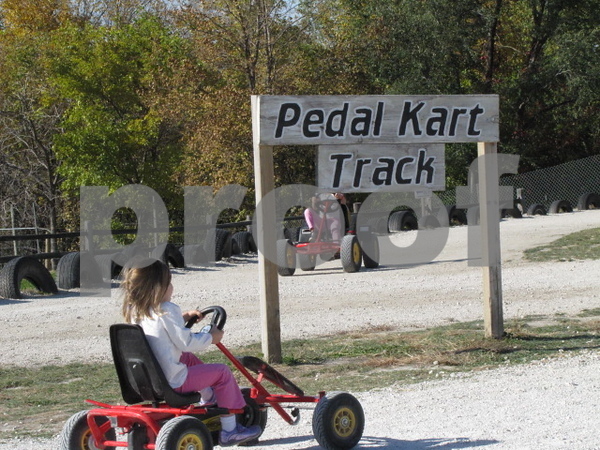 Anderson is a Board member of the Northwest Iowa Down Syndrome Society and mother of a child with Down Syndrome. Osborn and Figueroa were there to support their friend and the cause. 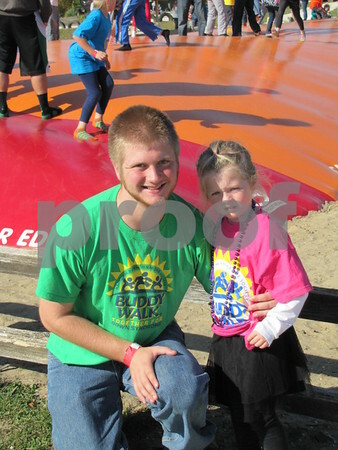 Andris Kirsis and his cousin Jenna Conlon. 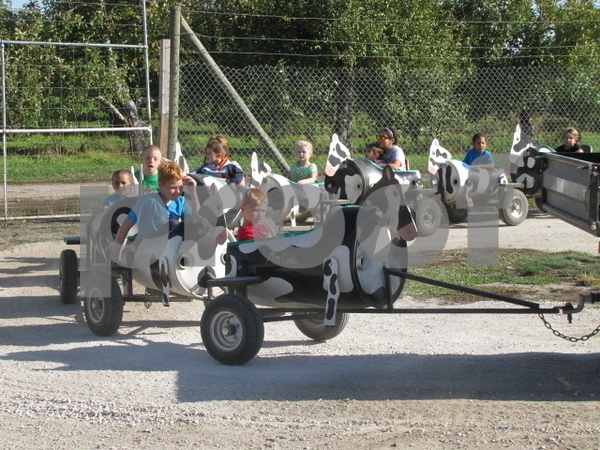 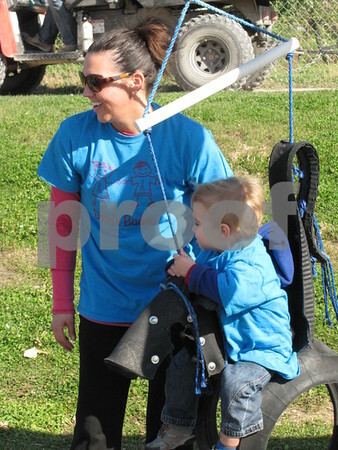 Camy McCoy and her son Luke enjoy the 'horses' at the Back 40 at the Orchard during the Buddy Walk event. 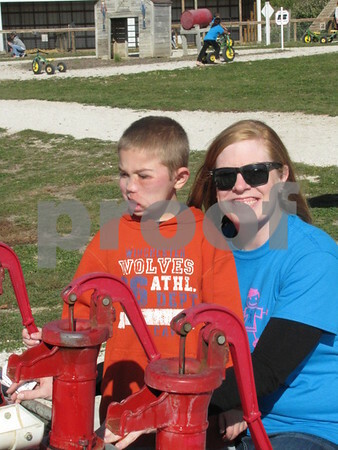 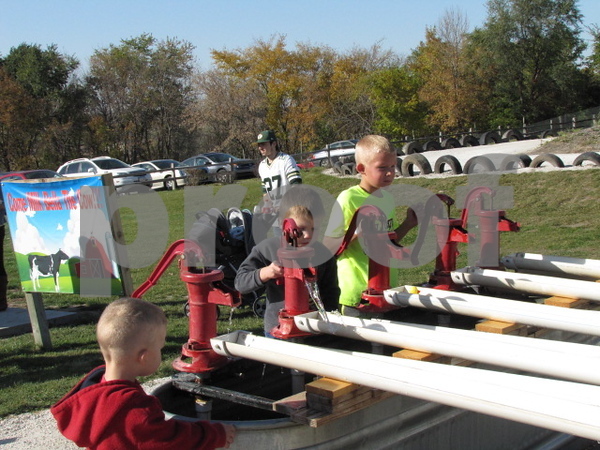 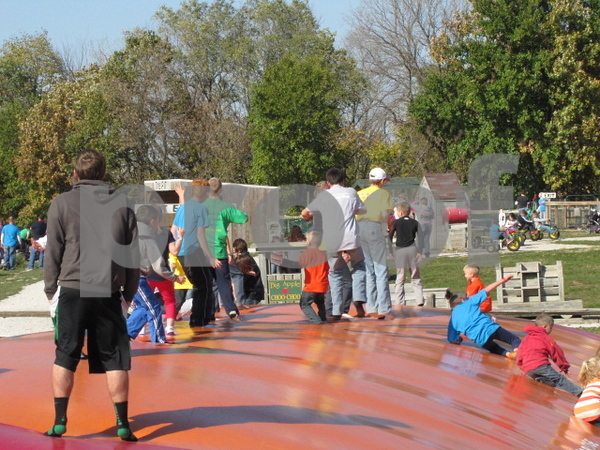 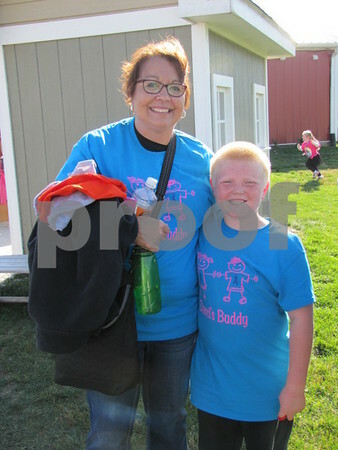 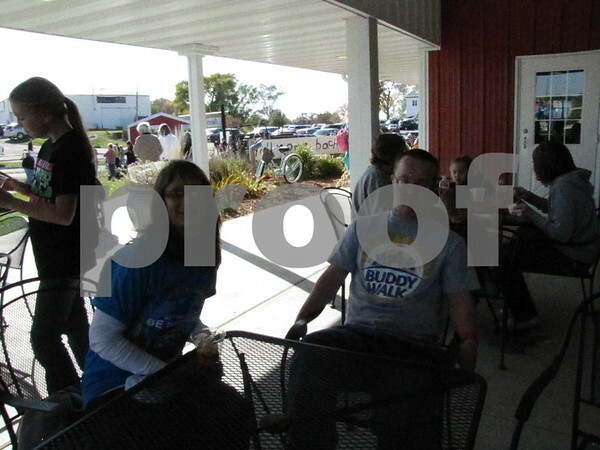 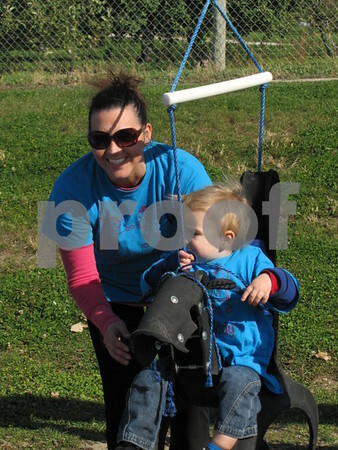 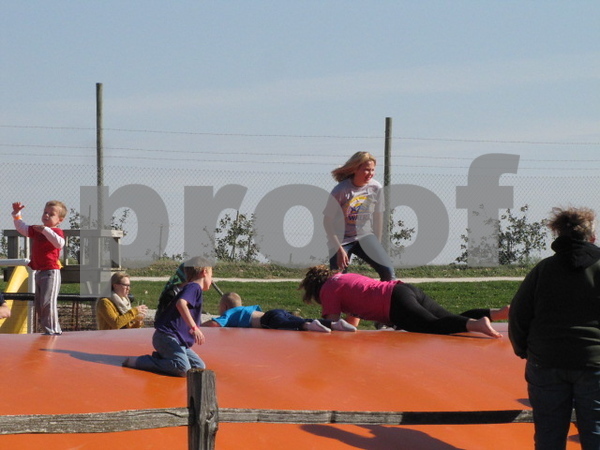 Beth Egemo and her nephew Sam Lemburg enjoyed the 'duck races' at the Back 40 during the Buddy Walk event. 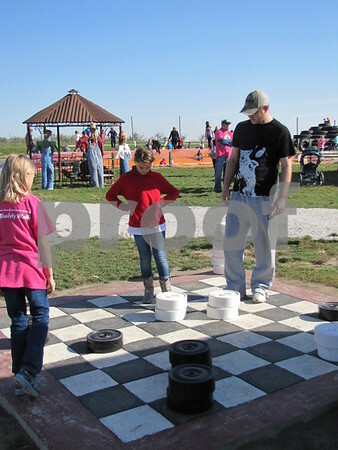 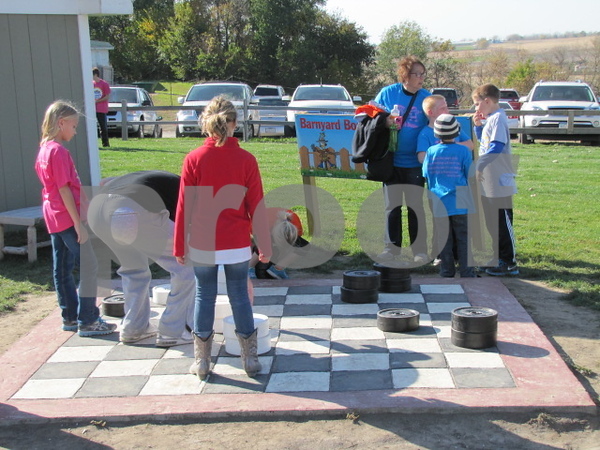 Playing the GIANT checker game were Reese Lemburg, Alexa Jeske, and Kyle Egemo. 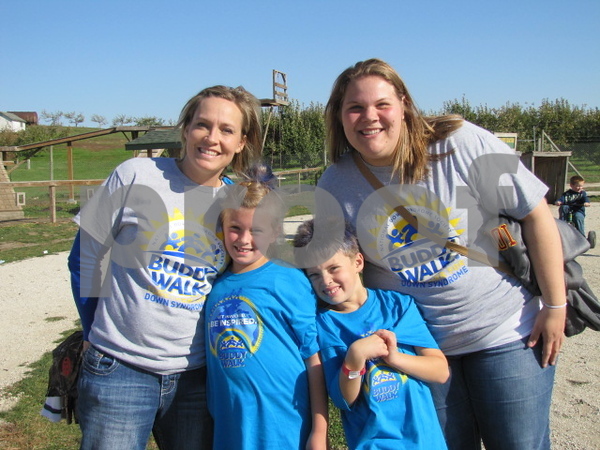 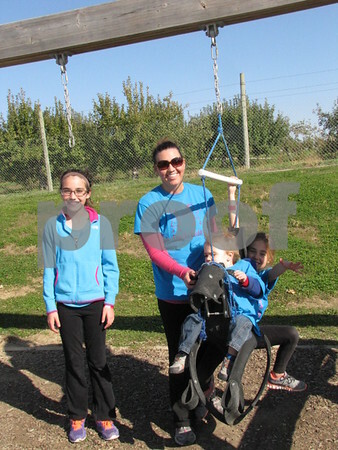 Sara, Rebekah, and Michael Buettner, and Ellie Garrelts enjoying all the activities at the Back 40 at the Buddy Walk event. 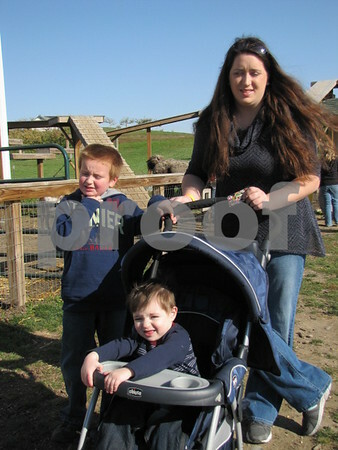 Briana Brouchous with her boys Dillon and Emmitt. 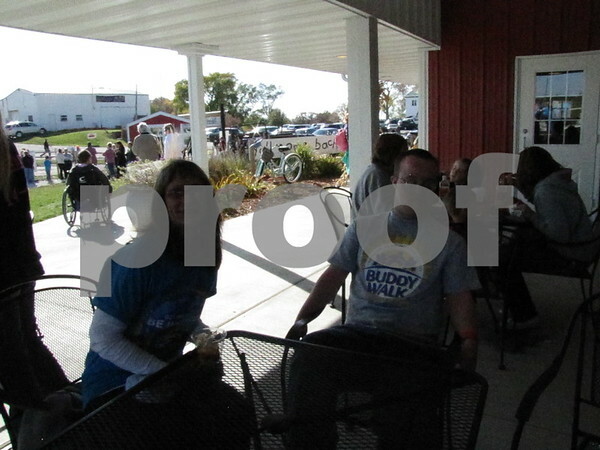 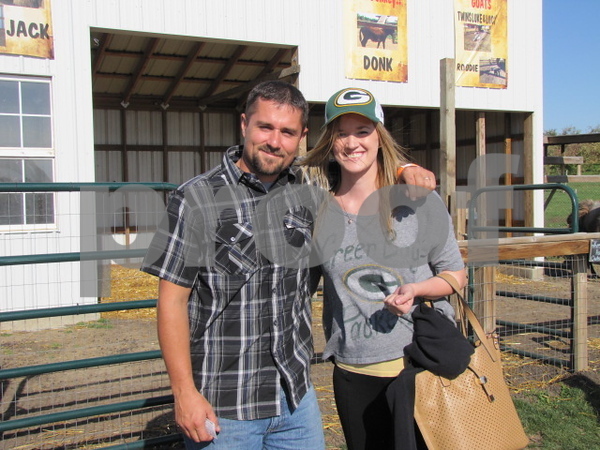 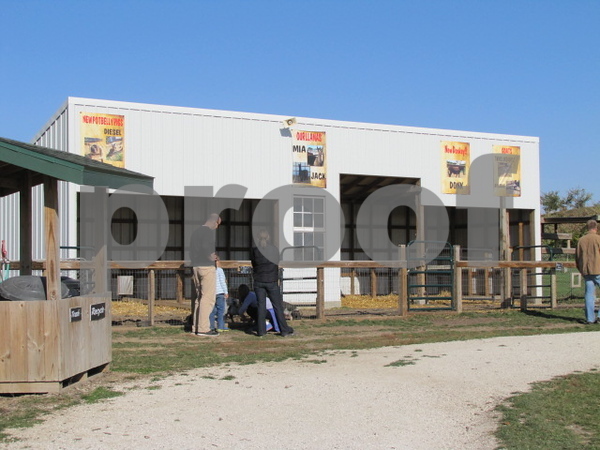 Virgil and Amanda Nelson enjoying the sunny day at the Back 40. 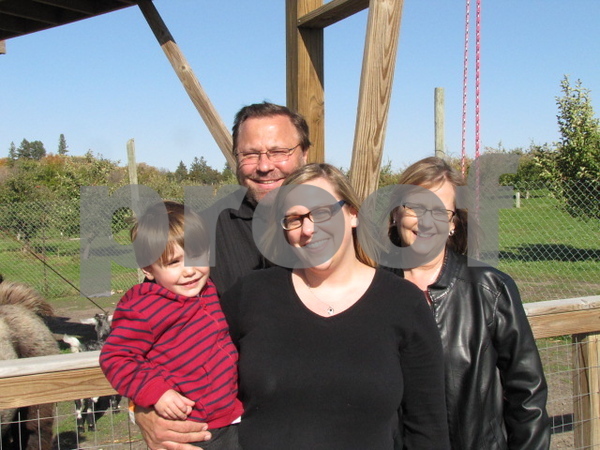 Chris and Sandy Darling, and daughter April, and grandson West pose for picture after feeding the lama at the Back 40 at the Orchard. 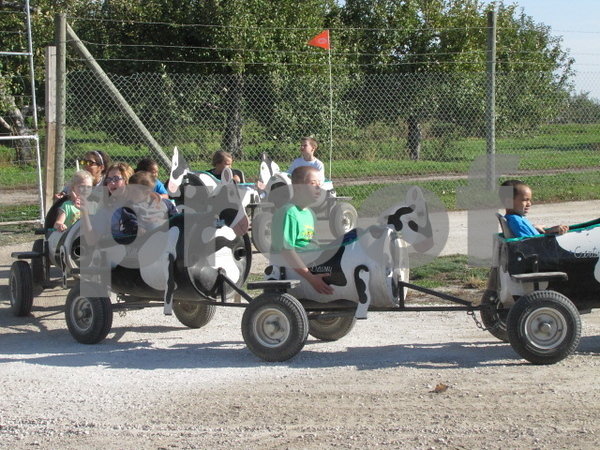 Racing 'ducks' at the water trough. 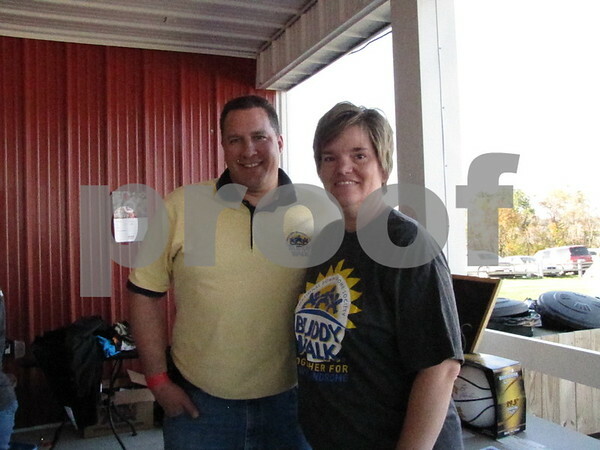 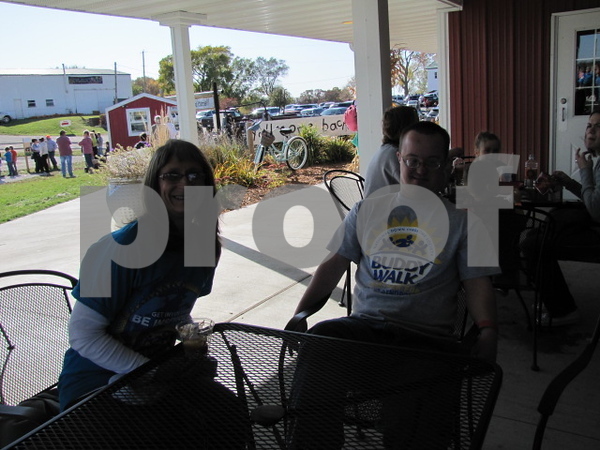 Scott and Trudy Hallgren of the Northwest Iowa Down Syndrome Society. 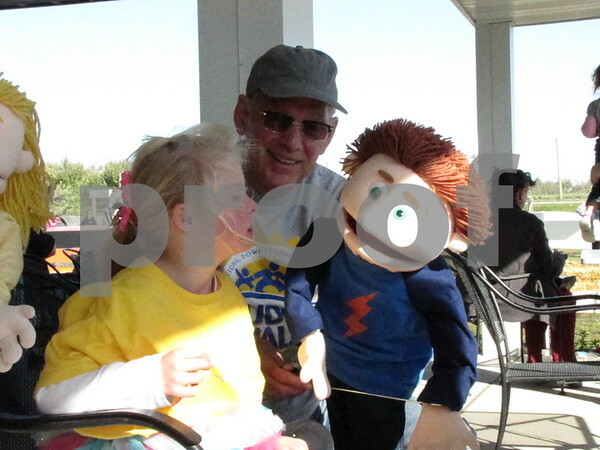 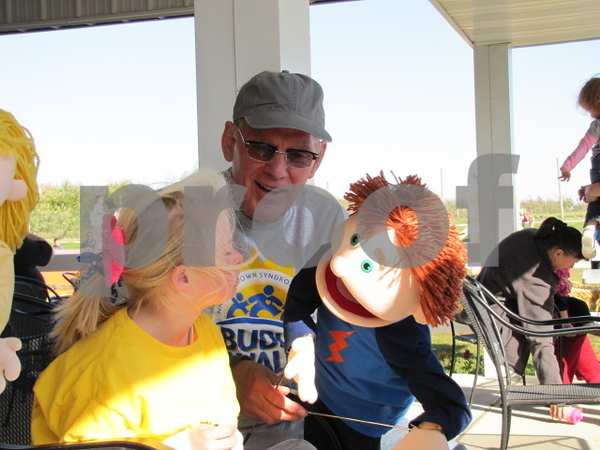 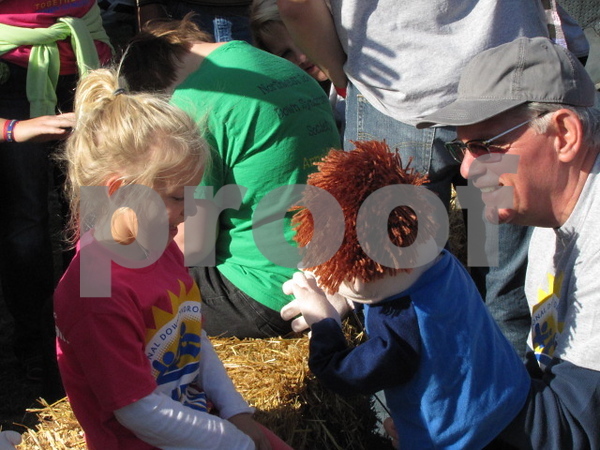 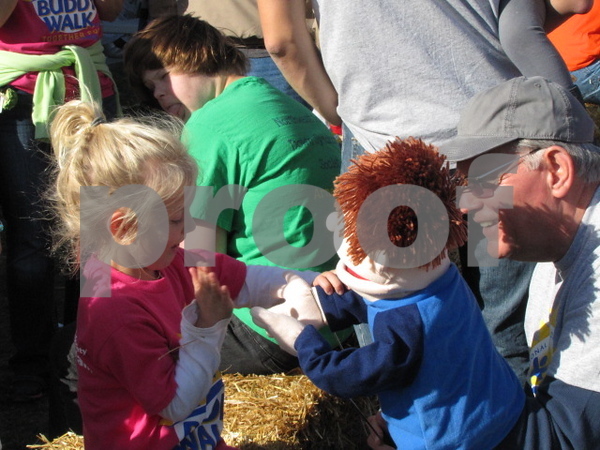 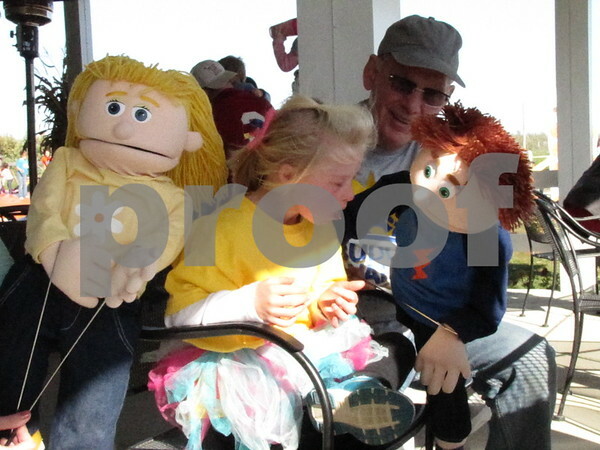 Doug Brightman entertains one of the children at the event with his puppet. 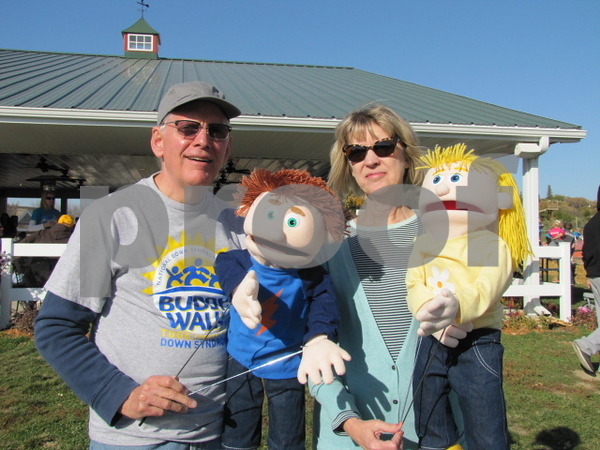 Doug and JoEllen Brightman pose with two of their puppets. 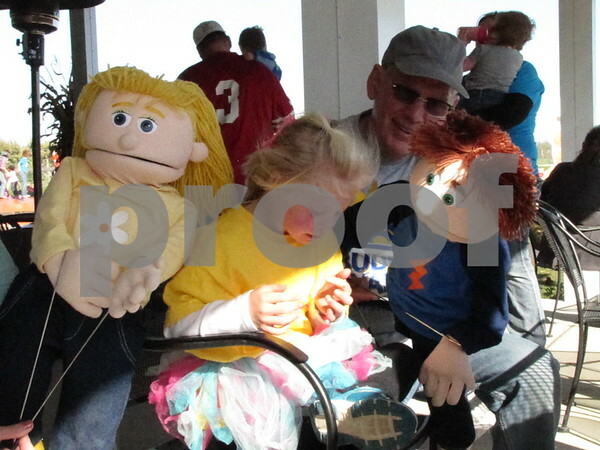 The Brightmans put on a puppet show earlier in the afternoon. 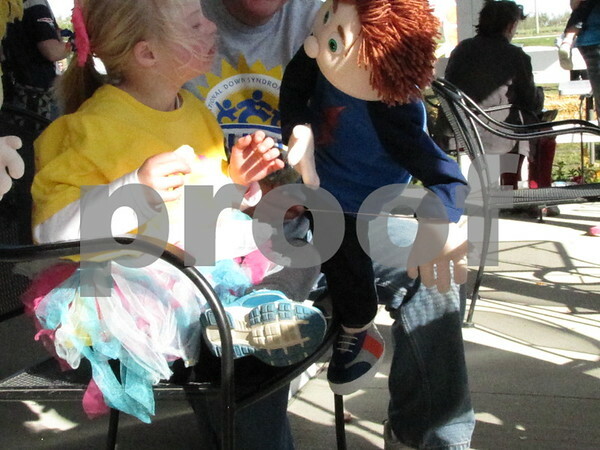 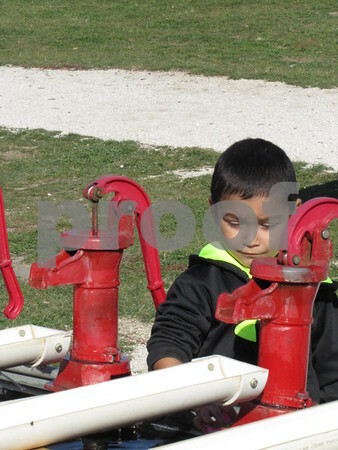 Another child is delighted by the 'talking' puppet.